Entrepreneurship MasterClass is a 4-5 hour initiation workshop which aims at familiarizing middle-school students with the business world and uncovering the budding entrepreneurial talents of these young people. The students learn the key mechanisms of a business (company name, key functions, cost structure, pricing, etc.) through a simple practical exercise: manufacturing a product. The work is carried out in teams, in a relaxed atmosphere, by exchanging and sharing ideas. The students promote their products while respecting the rules of fair competition. The best team receives a symbolic prize. The workshop is animated by a volunteer whose dynamic, sense of entrepreneurship and enthusiasm are contagious. Serving as a role model to students, he/she inspires them. Students aged between 12 to 17, preferably those of 14/15, who will make their career choices at the end of the year. Training is provided in groups of fifty students. Benefit from experiences of entrepreneurs and established business men, who share their enthusiasm and vision. The animation should be lively and punctuated by concrete examples that are meaningful to students. It is done through presentations, workshops and discussions. 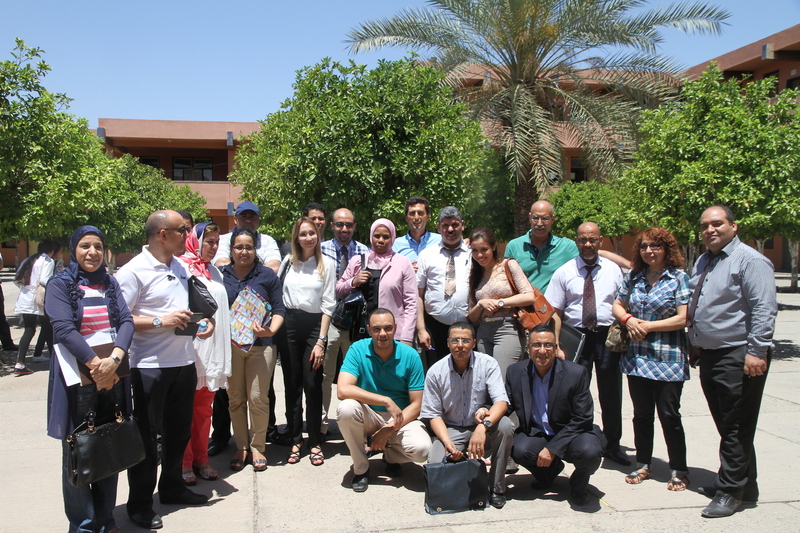 Each organizer has been trained in advance by INJAZ and its animation methods. The organizer, while supporting participants, gradually advances through a series of actions and practical tasks. He/she lead to the creation of virtual companies and the distribution of key functions within each company. Then, participants choose a logo and a name for their company. Afterwards, they begin the manufacturing of their product while conforming to clear standards. The work is done in teams, in a friendly atmosphere, through the exchange and sharing of ideas. Students promote their products within the framework of fair competition. A prize is awarded to the project that was best rated by the jury. Notions – company name, brand, business functions, skills, market, competition, profit, profitability, direct and indirect costs, investments, economies of scale, production, price, the prototype design. 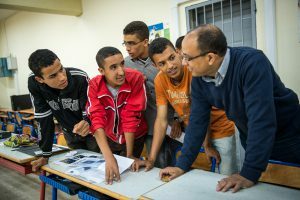 Skills – Creativity, sharing of new ideas, taste for challenges, active listening, information analysis, evaluation and cost-benefit analysis, decision making, taking into account given parameters, teamwork, interpretation of information, computations, speaking in public, knowledge of French. 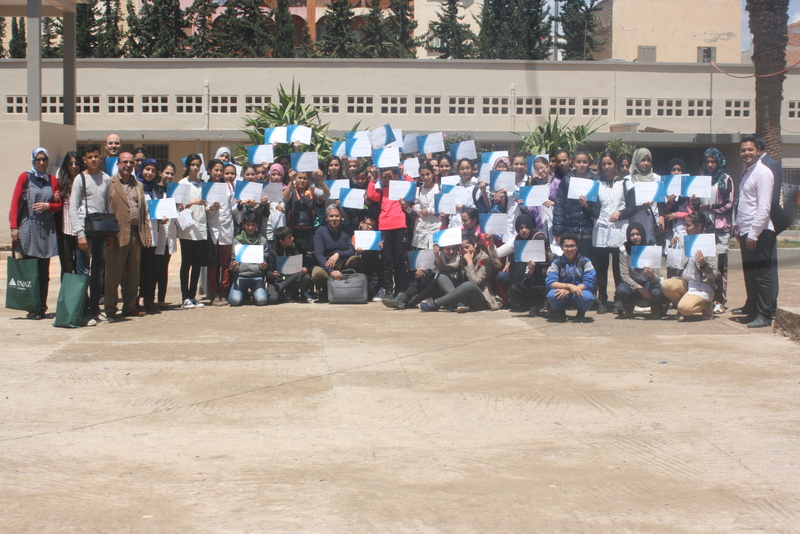 On Saturday, November 8th, 2014, 3900 students of the public secondary schools were initiated to entrepreneurship by 136 volunteers, business executives from Wafacash in 10 cities of Morocco: Casablanca, Rabat, Marrakesh, Agadir, Fez, Oujda, Laayoune, Tangier, Safi and Khouribga. For the 1st time, INJAZ Al-Maghrib’s collaborators organized in collaboration with Wafacash’s volunteers an operation of national wingspan to initiate the same day, 3900 students of the public secondary schools in the Entrepreneurship Masterclass, a program of Junior Achievement Worldwide, world leader in entrepreneurship education. Monday October 5th, 2015, Al Barid Bank Al-Maghrib and INJAZ Al-Maghrib signed an agreement to strengthen their partnership through the deployment of outreach programs INJAZ Al-Maghrib in all regions of the Kingdom. As a partner and major contributor of INJAZ Al-Maghrib, Al Barid Bank is committed to mobilize its employees in the deployment of Entrepreneurship Masterclass programs and Company Program for 3000 young people. Al Barid Bank intends to mobilize all its employees across the country to provide the program Entrepreneurship Masterclass of Junior Achievement Worldwide, a global leader in entrepreneurship education, at a rate of a city per month throughout the school year 2015/2016. 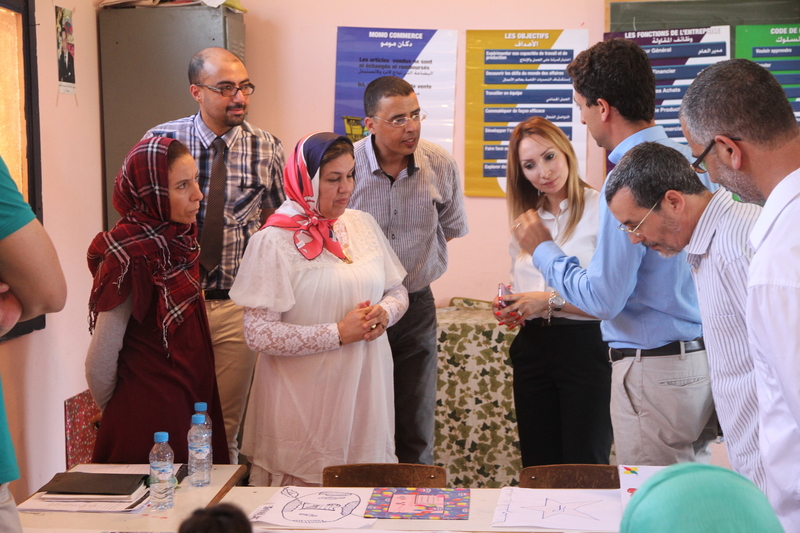 April 30th and May 7th, 420 executives of Attijariwafa bank were mobilized to animate Entrepreneurship Masterclass workshops to the benefit of 6000 youth of Casablanca, Fez, Laayoune, Oujda, Agadir, Marrakesh, Meknes, Inezgane, Berkane and Nador.